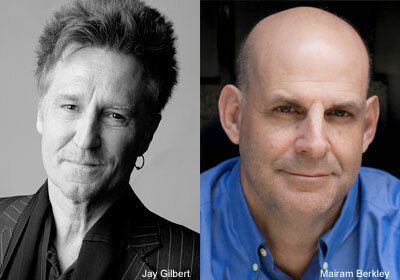 John Waite will be at the Hudson Union Society in New York City with Harlan Coben on May 15. Come meet them live in person. For registration details, click here. Free event for members. Join us for a rare evening with a legendary musician, and one of the top bestselling authors. John Waite, legendary singer-songwriter, career has spanned nearly four decades. Harlan Coben has over 60 million books in print worldwide and his most recent novel Missing You, opened number one of the New York Times bestseller list, and is named after Waite’s signature 1984 chart-topper. Coben’s thriller even references the iconic song, which is represented on John Waite’s new musical collection called BEST. Waite is known for his solo work as well as work with iconic bands The Babys and Bad English. In 1988, a reunion with former Baby’s band mates, Jonathan Cain and Ricky Phillips, along with uber-guitarist Neal Schon from Journey and drummer Deen Castronovo, resulted in the John Waite fronted supergroup, Bad English. And in 1989, the group’s ballad, “When I See You Smile,” – penned by Grammy winning songwriter, Diane Warren, went to Number 1 on Billboard’s Hot 100 and was certified Gold. The album reached Top Five and sold more than two million units in the U.S. alone. Waite has been successfully writing, recording and performing some of the most listenable, enduring and appreciated popular music for more than 35 years. He rose to fame as bassist and lead vocalist for The Babys, who rocketed to Top 20 chart positions with a pair of infections hits – “Isn’t it Time” from the band’s 1977 sophomore LP, Broken Heart and the monster ballad, “Every Time I Think of You” off 1978’s Head First. With over 60 million books in print worldwide, Harlan Coben’s last seven consecutive novels, MISSING YOU, SIX YEARS, STAY CLOSE, LIVE WIRE, CAUGHT, LONG LOST and HOLD TIGHT all debuted at #1 on the New York Times bestseller list and lists around the world. His books are published in 41 languages around the globe and have been number one bestsellers in over a dozen countries.